After an office manager for New Jersey City University admitted embezzling $486,000 in student funds three years ago, the U.S. Department of Education began auditing the use of all federal money by the state college. It soon discovered that $608,766 in federally subsidized loans and grant money had been improperly awarded by the school - in some cases to students who flunked out or never showed up to class, making them ineligible for financial assistance. An examination of federal Department of Education records by The Star-Ledger of Newark shows that NJCU was not the only state college in New Jersey cited for giving too much money to students who were either ineligible for the aid or whose financial need was overestimated. Those records show at least three universities are on the hook for $868,000 in improperly awarded loans or grants - or in some cases, undercutting student wages paid under federally subsidized work-study programs. The schools - Kean University in Union Township, Rutgers University and New Jersey City University in Jersey City - did not contest the findings and either repaid the financial aid money, or are currently paying it off over time. No students were penalized. According to the audits, Kean owed $255,920 in aid inappropriately awarded between 2001 and 2003. Unlike the audit at New Jersey City University, the review at Kean was not sparked by any warning bells. A spokeswoman for the U.S. Department of Education said it typically conducts program reviews of schools every five years. “Most schools do not get cited and have to pay back funds,” said the spokeswoman, Jane Glickman. At Kean, 40 percent of all students receive Pell grants averaging $4,254 and 60 percent receive federal loans. Auditors examined a sample of 30 student files, according to a DOE report. Of those files, it was determined that Kean had awarded too much money to students in eight of the 30 cases investigated - or 27 percent. In one case, a student who received a Pell grant and a subsidized federal loan, turned out to have never attended most of her classes, making her ineligible for $3,961 in loans and another $425 in Pell grant money. In another, the university, in determining a student's financial need, failed to include an external scholarship of $1,200. Another student receiving aid left the university, which never reported the withdrawal. Over the two years examined, DOE auditors said Kean improperly awarded $775,620 just in loans. The actual losses on those loans was less, based on borrowers who defaulted on what they owed. Matthew Caruso, a Kean spokesman, said the university reached a settlement agreement with the department, paying back $50,000, with the remainder of the $255,920 to be paid in monthly installments of $5,808.61. The federal student aid system, which includes numerous loan and grant programs, has been criticized for decades for being overly complex. “The federal loan system in complicated for students and families to figure out when they're borrowing, but even more complicated on the repayment end,” said Lauren Asher, president of the Institute for College Access and Success. The group is among several that have called for an overhaul of the student financial aid system to simplify the process for students and the colleges that oversee the awards. The Institute for College Access and Success, a California-based nonprofit group, has proposed introducing a single federal student loan program with one interest rate policy, which could eliminate reams of rules and regulations. “That could reduce the load for colleges,” Asher said. New Jersey City University, which has the lowest enrollment of the three schools targeted by the Department of Education, had to give back the most money to the DOE, although the issues were similar to that of Kean. Ellen Wayman-Gordon, a spokeswoman for NJCU, said the program review was sparked by the embezzlement case, although the university is subject to periodic audits by the Education Department. The university's exposure was $608,766 - which included loans or grants given to ineligible students who either failed or did not attend class, miscalculations of financial need, uncashed aid checks that were given to the state as unclaimed funds, and a miscalculation of hours credited to students in work-study programs. “We had funds that had to be returned either to the department of education, or students or the lenders,” said Wayman-Gordon. About 61 percent of NJCU's 8,500 students receive some form of federal financial aid, she said. The university, which has repaid the money owed in full, did not contest the audit findings. It also changed internal compliance procedures. “Some of the points led to the hiring of a new financial aid director and a review of some of the university's business practices - some of which used to be done by hand,” Wayman-Gordon said. She would not say what happened to the former financial aid director, saying only that the individual was no longer employed with the university. 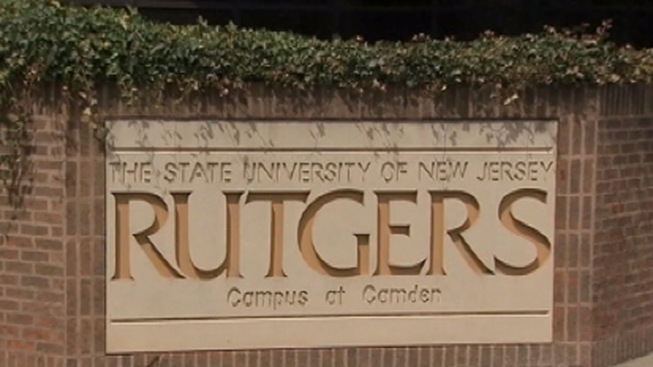 Auditors only found two errors at Rutgers, the state's largest university, one involving a student who had exceeded loan limits, requiring the school to pay back $2,821. University spokesman E.J. Miranda said the year the audit was conducted, the Office of Financial Aid processed 31,554 individual federal student loans totaling $165 million. “The Department of Education reviewed several hundred student files,” he said.